Pre-eminent designer and manufacturer of electronic and electrical protection, filtration and control products. 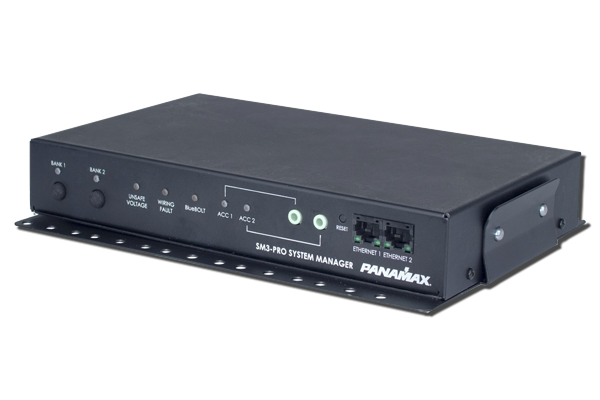 Panamax’s patent pending AVM™ circuitry continuously monitors the incoming power as displayed on the digital voltmeter. In case of an undervoltage or an overvoltage, a flashing lightning bolt will be displayed in red in the voltmeter, and power to the connected equipment is automatically turned off if either of these conditions is detected. When voltage returns to a safe level, power to the equipment is automatically reconnected. 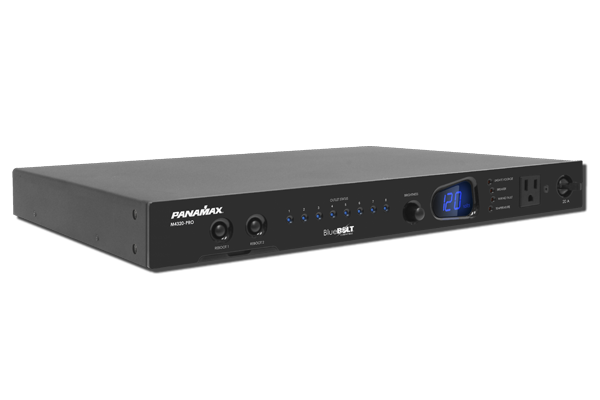 The M5400-PM is designed to provide noise isolation between 5 isolated outlet banks including 2 high current outlets so that any noise created by an A/V component can not contaminate the power going to equipment plugged into another outlet bank. 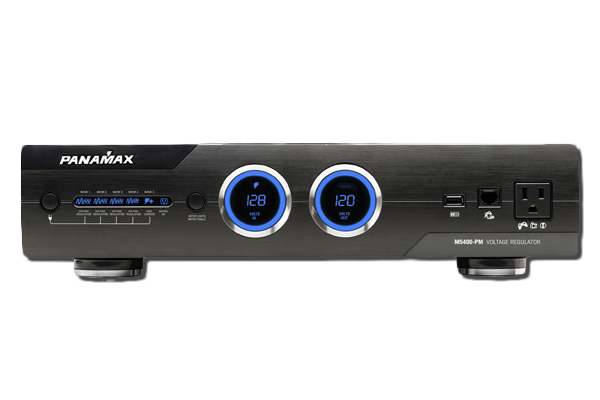 Panamax PM family’s highest level of power filtration plus voltage regulation ensure components receive a consistent level of clean power. Improves picture and sound quality by eliminating noise across the entire AC bandwidth. For more information and news, please visit the Panamax website.